Like any lawyer worth his/her salt, I'm always on the lookout for new ways to screw fees out of my client look after my client's interests. Well, how about this for an idea? A husband in America is suing his wife's lover for 'stealing' his wife. Bob Rohrman, president and owner of Rohrman Auto Group in Chicago, is seeking more than $50,000 against Dr. Sami Bittar who, he claims, seduced his wife and formed a sexual relationship with her. Rohrman is now divorcing his wife. The BBC Today programme ran a feature today on the opening of the family courts. Reporter Sanchia Berg spent two weeks in the various courts, and relates her experiences. Worth a listen. I started reading the report in McFarlane v McFarlane yesterday. But I didn't finish it. I will, but I kept thinking "why am I reading this?" The husband's income far exceeded the income of any spouse in any case that I or most solicitors have ever acted for. In fact, it far exceeded the income needs of both parties, even where those needs were put at £150,000 per annum each. Any esoteric legal arguments in such a case can surely have little bearing on the work done by the vast majority of family lawyers? 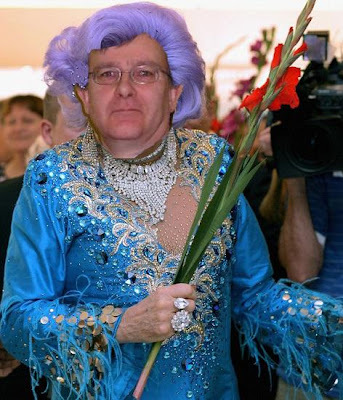 As I said, I will finish reading the report, and I may be proved wrong, but I doubt whether many of us will be changing the advice we give to our clients as a result of Mrs McFarlane's latest jaunt to the High Court. The week began with a story of a woman who won £220,000 in a 'ground-breaking' divorce settlement 22 years after separating from her husband, and ended with more good news for a wife when Julia McFarlane won a £100,000 a year increase in her maintenance. Neither case will do anything to alleviate the general public impression that the system favours wives. The alarming rise in court fees continues, although Justice Minister Bridget Prentice tries to rationalise it up by insisting that the changes "are to be introduced in order to target taxpayers’ money more effectively while helping those in financial difficulty". Oh really? The issue of "open justice" in the family courts continues to make the headlines, with Lord Justice Ward expressing his concerns in a case involving grandparents fighting an application by the local authority for their grandson to be freed for adoption. The grandparents had been "gagged" by an injunction banning them from disclosing any documents relating to the case to any third party. 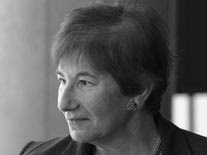 Lord Justice Ward varied the terms of the injunction and gave permission for the matter to be heard by the Court of Appeal. "I don't know that you are going to win", he told the grandparents, "but you can have a crack." The Times reports today that Julia McFarlane has succeeded in her application for an upward variation of her maintenance, which has been increased from £250,000 a year to £350,000 a year. The reason for the variation was that since the original order was made in 2006 her ex-husband's net income had increased, from £750,000 to £1.1 million. I've not read the judgment here (I don't believe it has yet been published), but nevertheless I'm still going to make some comment. The case, of course, resurrects the issue of the role of periodical payments, as mentioned by Lord Nicholls in the House of Lords judgment. To recap, Mrs McFarlane had given up a successful career to bring up the family. It was considered that there was insufficient capital to achieve an immediate clean break, but the husband's annual income was far in excess of the financial needs of both parties, even after they had separated. Further, it was considered that the high level of the husband's earnings after the breakdown of the marriage was the result of the parties' joint endeavours at the earlier stages of his professional career. Accordingly, Mrs McFarlane was awarded maintenance substantially in excess of her needs, by way of "compensation in respect of the significant future economic disparity, sustained by the wife, arising from the way the parties conducted their marriage". This latest judgment pours salt onto Mr McFarlane's wounds. It seems from the report in The Times that Mrs McFarlane is now resurrecting her career in the law, but that Mr McFarlane believes that she could easily earn more. However, the obvious point is that she hardly has any incentive to do so. 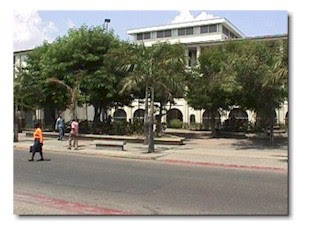 Further, as the report suggests, Mr McFarlane may consider that it is not worth his while continuing with his career. Whilst I certainly agree with the objective of achieving fairness, I am still uneasy about all of this. The primary object of maintenance is to meet needs, but where the maintenance award is in excess of needs then the balance above needs is effectively capital. To now award Mrs McFarlane another £100,000 a year capital is giving her a 'second bite' at the capital cherry, something that is specifically precluded by the system. UPDATE: The report has now been published, here. I have just been looking at Separated Families Matter, a new online resource for anyone who works 'with services for children or families in any capacity or sector', or who works 'with any service for adults who may also be separated parents'. The site includes legal advice, support ideas, various tools and resources. Definitely one to bookmark. Family law news continues apace, and I have just completed another large daily update on Family Lore Focus, which can be found here. Last year Mr Justice Coleridge caused a stir with his "river of human distress" speech about family breakdown at Resolution's annual conference. Now he is back at it again. In a speech to the Family Holiday Association he spoke of an “epidemic” of family breakdown in this country and proposed that a national commission be created to deal with it by establishing marriage as the "gold standard" for relationships. Naturally, the speech has been picked up with glee by the Daily Mail and many of its readers, but is there really an epidemic, and if so is marriage the answer? I'm not going to spend much time on this, but I'm not sure that the rate of family breakdown in this country is that much greater than in most other western countries. As for marriage being the "gold standard", I think that many cohabiting couples would find that highly offensive. It just seems to me that he is trying to turn back the clock to a time when marriage was the norm and was for life. The problem is that you can't turn back the clock and even if you could I'm not sure I would want to - how many of those marriages that were only held together by social convention were actually miserable affairs that left all involved, including the children, scarred for life? 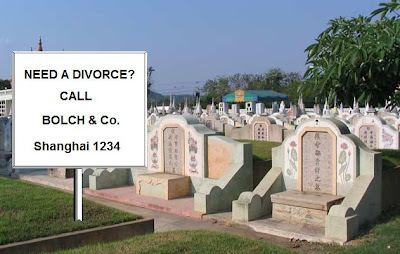 I think my good friend John Hirst of Jailhouselawyer's Blog may just have come up with a new potential source of business for divorce lawyers. Today he sent me a link to an appalling story in The Telegraph about five men who have been arrested in China for digging up the corpse of a young woman to be a "ghost bride" for a man killed in a car crash. Apparently, for centuries superstitious villagers in rural China have sought out the bodies of recently deceased women to be "ghost brides" for young men who die single. Marriage ceremonies are then conducted for the two corpses, and the "bride" is placed in the same grave as her "husband". The lunacy of human superstition never ceases to amaze me. Be that as it may, it is of course my duty as a lawyer never to miss an opportunity for business. As John says: "if the dead can marry then surely they can divorce?" Quite. I shall, therefore, be opening up a branch office in Shanghai so as not to miss out. I suspect that a case reported in The Times yesterday may raise a few eyebrows, particularly amongst non family lawyers. A wife won a £220,000 settlement 22 years after separating from her husband, where the only real asset was an inheritance that the husband had come into after the separation. She had successfully argued that she had been financially disadvantaged by bringing up their child with minimal support from the husband, and that she had a need for housing and pension provision. The question is, should the husband have had to provide for those needs out of assets acquired after the separation? I admit to being a little uneasy about this, even if it is not incorrect in law. There does seem to be an element of opportunism on the part of the wife - even her lawyer admitted that a factor in her making the claim was that the husband had come into the inheritance. As to the lack of child support, isn't that a separate issue? She should have applied for proper child support/maintenance while the child was a minor, but it appears that she did not. One thing is clear to me: as I have stated here before, it is about time that we had more certainty in our ancillary relief laws. Clear statutory guidance could, for example, deal with such issues as how inheritances and assets acquired post-separation are treated upon divorce. I am not the only one wanting reform in this area but, as with reform of divorce itself, I can't see it happening any time soon - parliament has much more pressing issues to deal with, such as MPs expenses. 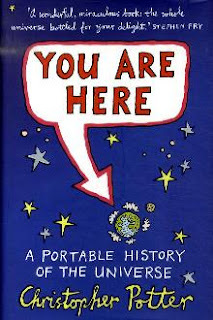 My latest book review, of You are Here: A Portable History of the Universe by Christopher Potter, has now gone up on Law and More. In the book, Potter explores everything from the very small of quantum particles to the very large of superclusters and the universe itself. He takes us from the moments after the Big Bang through star formation, geological time and evolution, and on to the Dark Era of the end of the universe. Highly recommended. The review can be found here. Law and More is an "independent career and lifestyle site aimed solely at the legal profession", including employment, entertainment and lifestyle sections. The daily update is now up on Family Lore Focus, including three case reports. Find it here. I see that two Jamaican Supreme Court clerks have been charged with offences for allegedly taking money for pushing through divorce petitions. With the delays in our courts, could the same thing happen over here? 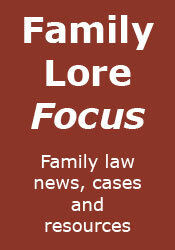 Today's family law news is now up on Family Lore Focus. 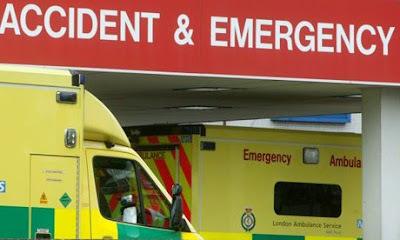 A few months ago I wrote an article for Family Lore Focus about the way in which damages for personal injury are dealt with on an ancillary relief claim. The leading case on the subject remains Wagstaff v Wagstaff  1 FLR 333, in which the Court of Appeal held that the damages could be included as one of the assets available for distribution between the spouses. 1. No 'loss' was involved in orders made under the Matrimonial Causes Act 1973 for the redistribution of matrimonial assets. Sir Roger Ormrod made the obvious point that "these orders neither add to nor reduce the total of the assets available to the spouses before the divorce; they merely redistribute them." 2. Allowing recovery for these 'losses' would produce 'infinite regress'. Sums awarded for personal injury damages would be part of the total assets to be considered in the matrimonial proceedings. However, if those sums themselves depended on the outcome of the matrimonial proceedings, the court argued, circularity was inevitable. 3. The court deciding the quantum of damages in the personal injury action might have to try to foresee what the outcome of future matrimonial proceedings would be. The Law Commission considered these and other issues (such as causation and remoteness) and concluded (at paragraph 6.34) that the law should not be reformed to allow claimants to recover damages for losses, whether pecuniary or non-pecuniary, arising out of a divorce foreseeably consequent on an actionable personal injury. I am not a personal injury lawyer, and I do not know whether this issue has been considered further since the report, whether by the court or otherwise (if it has, please let me know). However, the arguments put forward by the Court of Appeal and Law Commission do appear persuasive, in particular the point made by Sir Roger Ormrod: the divorce court merely redistributes the assets, so where is the loss? There is an argument for non-pecuniary loss (in Jones v Jones, part of the award for non-pecuniary loss included an element reflecting emotional pain resulting from the divorce), and this was considered by the Law Commission at paragraph 6.30. I think that this argument may have slightly more merit, but it was also rejected by the Commission, which considered that it: "would be arbitrary for the law to compensate non-pecuniary losses but not pecuniary losses when as a result of a tort both losses may have been suffered". 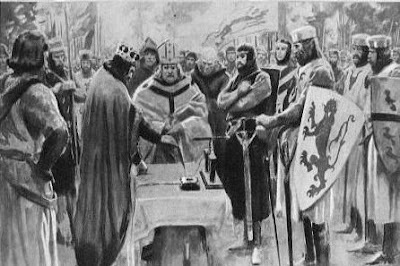 The daily news update is now up on Family Lore Focus. Parties involved in ancillary relief proceedings often try to raise the issue of conduct to bolster their claims. As we all know, conduct is one of the section 25 factors that the court should take into account, but only "if that conduct is such that it would in the opinion of the court be inequitable to disregard it". This is a high threshold, and very few cases have been reported where the threshold has been crossed. Accordingly, I almost inevitably have to advise clients that their (former) spouse's conduct is not sufficiently serious to have a bearing on the amount of the settlement (although it often seems that the solicitor on the other side has not given such advice to their clients). Another example of the level of conduct required has just been reported in the media. Here, the husband failed entirely in his claim against his ex-wife, despite his contribution to a 25-year marriage, as he had been convicted of 17 offences of child abuse, including molesting two of her grandchildren. Mr Justice Moylan, sitting in the High Court, said that the "circumstances of this case are such that it would be inequitable for the wife to make any financial provision for the husband". I think few would argue with that, but will the husband? This story in the Telegraph today makes me despair. I despair not only about the nasty vindictiveness of people, but also about the equally nasty meddling intolerance of religions. Sally Antia and her husband lived in Dubai for more than 12 years, but had been estranged for some time. 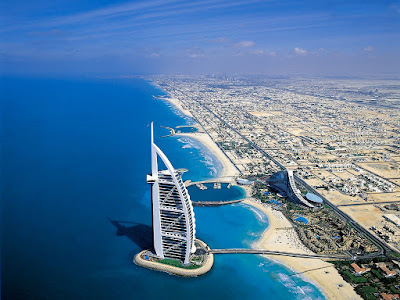 Sally had formed a relationship with another man in England, and he flew to Dubai to meet her. Seizing his chance, the delightful Mr Antia then contacted the local police to inform them that the hideous crime of adultery was being committed. Sally and her boyfriend were duly arrested and she was held in a squalid police cell, along with up to a hundred other people, and fed with maggot-ridden food. The case has now been heard, and Sally and her boyfriend were jailed for two months, although they may be released and deported in a week, with Sally likely to lose her two daughters. The prize? A virtual subscription to Scientific American, for James to display prominently in his reception area, just to prove to clients that he is not averse to a bit of logic himself. Small but perfectly formed is how I would describe the news update on Family Lore Focus today. We have the story of the mother who is apparently 'too stupid' to look after her child (see also this post), yet more fallout from the Baby Peter case and comment from Lucy Reed at Pink Tape, amongst other things. Read it here.